Are the reigning World Champions, Marigold IceUnity (FIN), going to win a new medal in front of their home crowd? / Credits: Kirsi Laine Photography? The ISU World Synchronized Skating Championships will take place in Helsinki (FIN) on Friday and Saturday. A total of 24 teams representing 20 countries have been entered for the Championships. Let’s present the participating teams. Crowned Australian champions in early December in Sydney, Team Unity will represent Australia. The athletes are coached by Madonna Randall and Georgina Williams. They will skate to "Call Out My Name" by The Weeknd and to Romeo and Juliet for the Free Skate. The team represents the city of Salzburg in Austria. Coached by Noora Karjalainen, the skaters are coming from the whole area, even from Germany. They have this season a typical and patriotic Free Program called "Vienna calling". This team skates in Liedekerke, Belgium and is led by Mireille Mostaert. The Belgian former competitive figure skater Kevin Van Der Perren is the assistant coach of the team. Team Phoenix won the bronze medal this season at the Winter Cup in Belgium. This team is considered this year’s newcomer. Winner of the Mozart Cup 2019, and Canadian Champion, this team from Brossard, a part of the Greater Montreal area, creates the surprise since a few weeks with their programs. 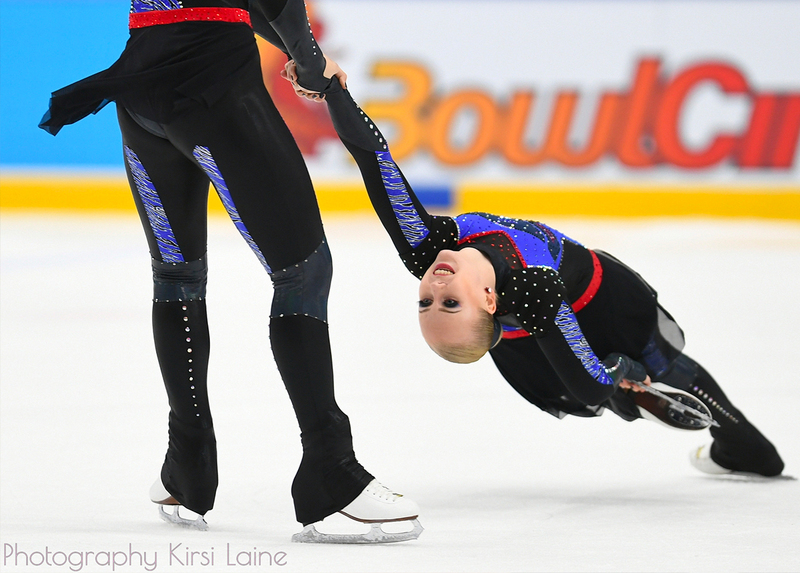 The short program is quite dark, and at the opposite, the free program is very bright. World Bronze Medallists in 2017 in Colorado Springs, Nexxice (pronounced "nex’us") will try once again to reach the highest spots this year in Finland. For the Short, the team from Burlington (Ontario) will skate to Malaguena by Ernesto Lecuano. The skaters will dress in red for the Free on the music of Kate Bush "This Womans Work". 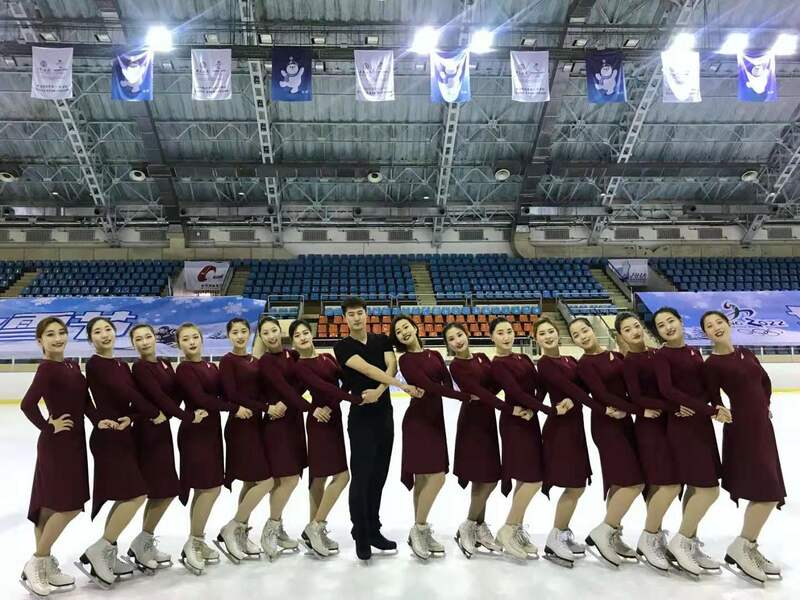 This is the first time that China presents a team at the ISU Senior Worlds. The team started nine months ago in the city of Harbin. The skaters are coming from different skating disciplines and participated in Helsinki to their first synchro international competition. The Chinese team is entering. / Credits: Team Ice Pearls? A Mambo for the Short, and the music of Diana Ross and Donna Summer "Studio 54" for the Free Skate… The Croatian champions are back this year. The team from Zagreb is coached by Ozana Miljkovic and Natasa Bahat. Composed of 20 skaters, Team Olympia will present two charming programs in front of the Finnish public this weekend. Finishing 16th last year at Worlds in Stockholm, the team will aim to reach the top 15 this year. This year, the German champions will skate Big and Bag for their short program and will transform in Ninjas during the free program. This team is skating in the German capital and is coached by Gert Hofmann. Will they be able to keep their 10th world ranking won last year? A new team from Great Britain will participate at their first World Championships. Team Icicles from Nottingham is the 2019 British champion. They will skate to "Sa" by Fleur East and for the free program, the team will "roar" in their Lion King costumes. On Friday, the team will perform Survivors (Tom Raider theme). On the day after, the Hungarian national champions will skate to Never give up on your dreams by Two Steps from Hell. Team Passion finished fourth at the 2019 Budapest Cup. A spot in the World top 10 is the dream of the Italian champions who finished 11th last year in Stockholm. Coached by Andrea Gilardi, the team from Milan will skate two emotional programs in Helsinki and they will probably touch the public heart. The Japanese champions will also represent the Asian continent in Helsinki. The team is coached by Tomoyo Sekiguchi. This team is led by a very young and already very talented coach: Eva Cekanauska. The team comes from Riga, the capital and largest city of Latvia. The team said at the beginning of the week they were very happy to have the World Championships near her home, in Finland. They only had 45 minutes to fly to Helsinki. Athletes from the Netherlands are working hard and efforts are paying off! In recent seasons, the national champions have not stopped improving by climbing the world rankings. Angelique Visser's team will try again this year to improve its result to make his country shine on the international stage. World Champion in 2016 and 2017, and bronze medallist in 2018, the Russian champions are determined this year to come back on the highest step of the podium. The team is training in St-Petersburg and has won almost all the competitions they have competed in this season. Last year, an error on a lift put them away from the gold. The competition is more and more difficult in Russia. Now it’s getting harder and harder to qualify for the Worlds. But Tatarstan did it. The team is national vice-champion and has even won the Zagreb Snowflakes Trophy this season in Croatia. Switzerland is back with a new team coming from the city of Zürich. The team will live its very first World Championships. They are coached by Anna Pferfhofer and Yara Rossi. After that Team Cool Dreams stopped in 2017, Switzerland had no team in 2018 in Stockholm. Synchronized skating is booming in Turkey and Team Vizyon's participation in the Worlds is a proof. The team comes from Ankara and is coached by Zeynep Aydin who surrounds herself with the best specialists in synchro. Vizyon has three men in the team. Seventh last year, the American champions missed the top rankings only for a few points. This year, the team of Saga Krantz is presenting an impressive free program on the music of The Greatest Showman. This is probably one of the best performances this season on this music because the skate is full of energy and innovation. Last year in Stockholm, the Skyliners took part in their very first world championships and they were already among the best teams. This season, the team will present two great performances: "What a wonderful world" for the short program and Turandot by Giacomo Puccini for the free. This team has a bright future. Reigning World Champions, the team is coached by Anu Oksanen. She was crowned World Champion in 2018 in Stockholm. The team will skate its short program called #WhyNot on the Olympic dream and its free program on Transformers. Famous in the world of synchronized skating, the Helsinki Rockettes will take the public in two very different performances this weekend. A short emotional program on Friday and a free program on the theme of "Radio Waves". On Friday, the short program competition will start at 5 PM (Opening ceremony at 4 PM), Finnish time. On Saturday, the free program event is scheduled from 1:45 PM to 6 PM. Follow us on Jura Synchro platforms!